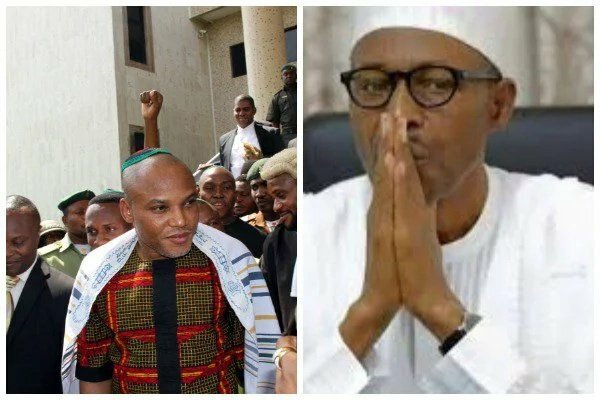 Nnamdi Kanu`s Unmask -See More Details - SWANKYLOADED OFFICIAL BLOG. The leader of the Indigenous People of Biafra (IPOB), Nnamdi Kanu, has predicted more killings of innocent Nigerians. Kanu said this in a post published on his official Twitter handle yesterday, December 8th. The Biafran leader while making reference to recent killing of soldiers by Boko Haram predicted more killings in the country. “My broadcast of June 8, 2015 warning that ISIS will attack #Nigeria. “Recently, the #terrorist group slaughtered Nigerian soldiers. Meanwhile, Kanu has vowed to release more ‘damning’ proofs to back his claim that a body is impersonating President Muhammadu Buhari in Aso Rock. Recall that the President had during an interactive session with the Nigerian community in Poland, denied the rumour that he was a fake.